Joseph Martin Backman and Daniel Thomas Macey charged with 1 count of Riot - 2nd degree- armed w/ dangerous weapon. Allen Lawrence Scarsella of Lakeville has been charged on six felony riot and assault counts tied to the Nov. 23 confrontation near the precinct station that left five wounded. Prosecutors at 1 p.m. are expected to detail charges against Scarsella and three other men arrested. Meanwhile, Mayor Betsy Hodges says crowds outside the 4th Precinct station protesting the police shooting of Jamar Clark have become a public safety hazard. Charges say Scarsella, Nathan Wayne Gustavsson, Joseph Martin Backman and Daniel Thomas Macey all admitted in jail phone conversations that they were present at the shooting. First count has a minimum sentence of 3 years, maximum of 5 years and/or $10,000. The other counts carry a minimum sentence of 3 years and a maximum of 10 years, and/or $6-20,000. The short version: Allen Lawrence Scarsella charged with six counts today in Hennepin Co: 1 count of Riot - 2nd degree- armed w/ dangerous weapon and five counts of Assault - 2nd degree - Dangerous weapon - substantial bodily harm. Minneapolis Mayor Betsy Hodges is asking for an end to a protest encampment that started two weeks ago outside a north side police precinct. 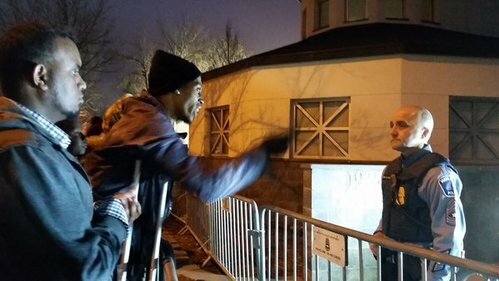 Protesters have maintained a presence outside the 4th Precinct since 24-year-old Jamar Clark died in a confrontation with police Nov. 15. Some community members have alleged that Clark, who was black, was handcuffed when he was shot. Police dispute that. Hodges says protesters' campfires are hurting air quality in the neighborhood and harming children and older people who have respiratory problems. She also says barricades that have closed a portion of the street are impeding access for emergency vehicles and snowplows. 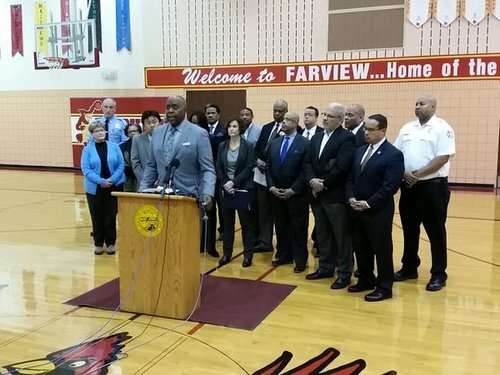 Hodges was joined Monday at a news conference by U.S. Rep. Keith Ellison and Urban League head Steven Belton, who joined her in asking the protesters to end their demonstration. WHAT: County Attorney Freeman will announce charges against four defendants in the shooting of five people near the Minneapolis Police Department’s 4th Precinct on Nov. 23. The protest encampments outside the 4th Precinct police station are a public safety hazard and must end, Minneapolis Mayor Betsy Hodges said Monday. “The occupation of the 4th Precinct is unsafe for everyone,” Hodges said, noting that campfires are fouling the air and barricades set up on Plymouth Avenue are blocking emergency vehicles and snow plows. Crowds have blocked the street outside the precinct for two weeks now demonstrating against the police shooting of Jamar Clark. Hodges was joined by U.S. Rep. Keith Ellison, Minneapolis Urban League Interim President Steven Belton and some north Minneapolis neighbors calling for the encampments outside the precinct to end. Ellison said he has north Minneapolis residents calling his office saying emergency vehicle traffic can’t get through and that smoke from campfires is affecting a community that already suffers bad air quality. “The unintended effect is that northsiders can't use their main thoroughfare, Plymouth Avenue, (and) domestic terrorists are coming to the protests to start trouble,” he said, noting that Clark’s family has called for the protests outside the precinct to end. Hodges: Focus now is neighbors are heard. Doesn't detail alternative if protesters don't leave. Hodges: I'm not setting a deadline for protest to leave 4th Precinct. Belton: "We will be with you to draw attention to police misconduct. ... We just aren't going to hold the community hostage any longer." Mpls public housing authority says campfire smoke from protest camp is affecting air quality in nearby 84 unit senior high rise. 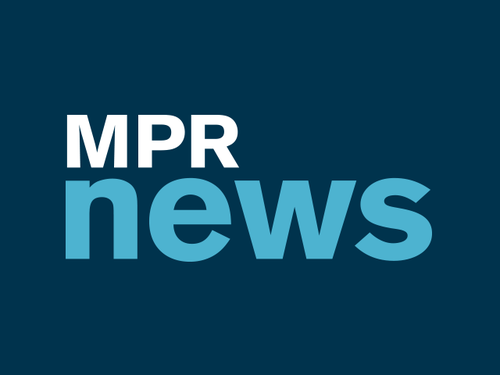 Help MPR News cover this story. Share your experience and perspective. Rep. Ellison says that the encampment is hurting the people the protests are trying to help (those living in the 4th Presinct). He adds that he doesnt want to see the Minneapolis Police move protesters out, but doesn't see an alternative if protesters aren't willing to leave. 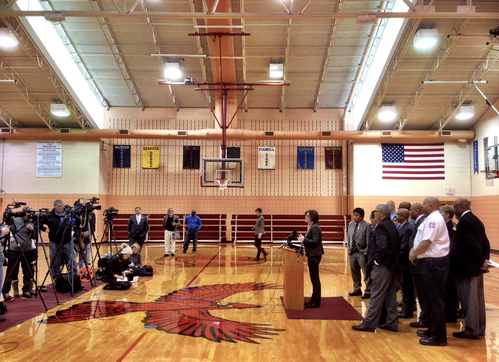 Belton to protesters: We appreciate your aims, can't "continue to hold the community hostage." Belton, of Urban League, to protesters: You got most of your demands. "Take yes for an answer." Neighbors say enough is enough. Hodges: Everyone, protesters, neighbors, police officers at risk because of camp at 4th precinct. 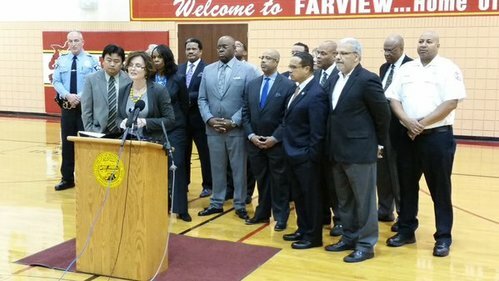 Mpls mayor Hodges: occupation of 4th precinct is unsafe for everyone, must end. 10 am press conference delayed 10 minutes or so, we're told. 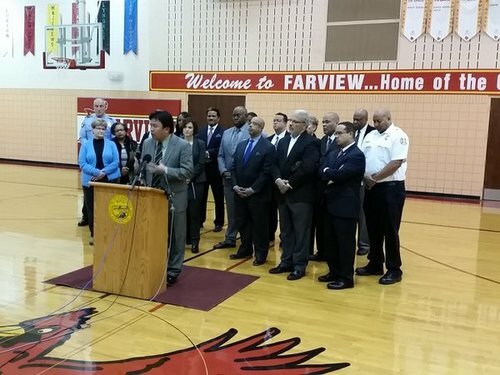 Prosecutors have until noon today to charge four men connected with last week's shootings near the 4th Precinct police station. Sunday, protesters stood together against racial hatred. 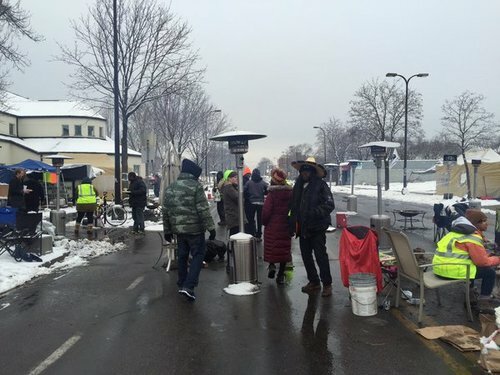 Minneapolis (AP) — Protesters and community groups hosted a community Thanksgiving dinner outside a Minneapolis police station where demonstrators have been camped out for more than a week. Minneapolis NAACP president Nekima Levy-Pounds said the meal was hosted by her organization, Zion Baptist Church and Black Lives Matter. 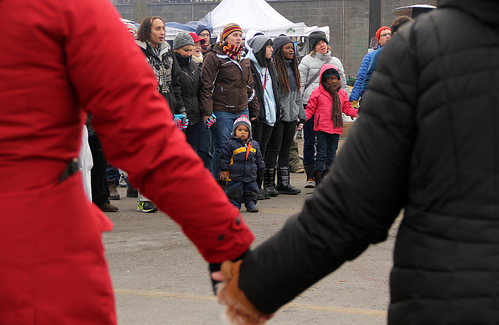 The event was designed to promote healing after the shooting death of 24-year-old Jamar Clark. 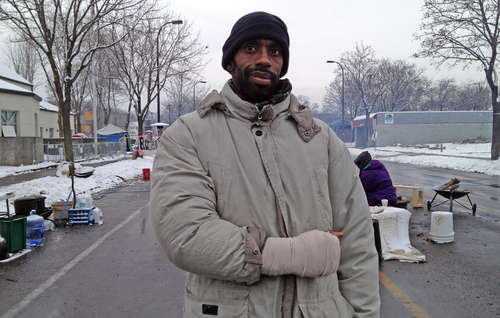 Clark was shot Nov. 15 by Minneapolis police after authorities said he struggled. Some who say they saw the shooting alleged he was handcuffed at the time, which police dispute. While some have called for the encampment at the police station to end, Levy-Pounds says it has become a place where the community can gather and heal. 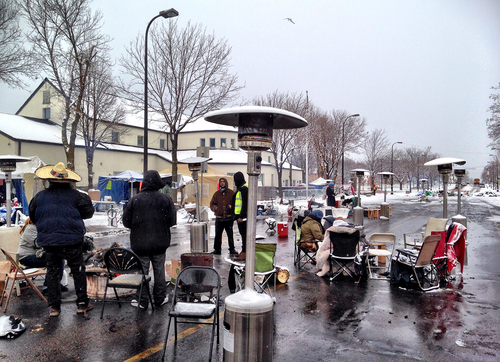 Dozens of people donated food, heaters and tents for Thursday's event. Representatives from the U.S. Department of Justice have heard from activists camped outside a Minneapolis police station to protest the killing Jamar Clark, a 24-year-old African-American man. Nekima Levy-Pounds, head of the Minneapolis NAACP, urged protesters to speak their minds Wednesday night. Activist Emmanuel Kandolo says it makes him sick that it doesn't feel like police are protecting him. The 18-year-old says he is "a black man, and they are shooting men exactly like me." A member of the federal group identified his office as the department's Community Relations Service. He declined to comment to The Associated Press. Court documents indicate a suspect called an old high school friend who is a Mankato police officer and confessed to shooting five people at a protest against the killing of Clark by Minneapolis police. The Star Tribune reported Wednesday night that the confession was described in an application for a search warrant filed in Hennepin County court. The documents say the 23-year-old suspect, who is white, told the officer that he and some friends went to the protest to livestream it when the altercation broke out, leading to the shooting. Authorities raided the man's Bloomington home and seized a dozen weapons. The man and three other men are in custody. Prosecutors have gotten more time to file charges. MPR News is not naming the man because he has not formally been charged. 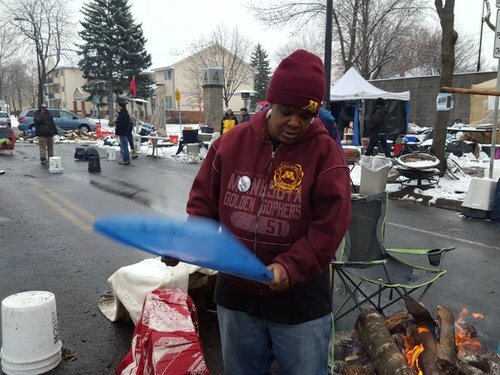 Minneapolis (AP) — Protesters and community groups are planning a community Thanksgiving dinner outside of a Minneapolis police station where demonstrators have been camped out for more than a week. Minneapolis NAACP president Nekima Levy-Pounds says everyone is welcome to attend the Thanksgiving meal at 3 p.m. Thursday. She said the meal is being hosted by the NACCP and Zion Baptist Church and designed to promote healing after the shooting death of 24-year-old Jamar Clark. 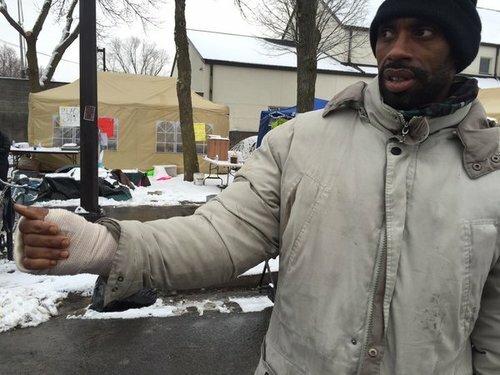 While some have called for the encampment at the police station to end, Levy-Pounds says it has become a place where the community can gather and heal. Hennepin County prosecutors received an extension until noon Monday to charge or release suspects in an incident where five people were shot near the 4th Precinct police station in north Minneapolis. Crowds have been gathered outside the precinct station to protest the police shooting of Jamar Clark on Nov. 15. Four men are in custody as part of the investigation into the Monday night shootings. The suspects will remain in jail until at least Monday, Hennepin County Attorney Mike Freeman said in a statement Wednesday. The deadline for charges was set for 4 p.m. today, but a Hennepin County District Court judge granted an extension given the ongoing investigation, Freeman's office said. "Although the investigation will continue over the Thanksgiving weekend, no further developments will be reported by this office until Monday," his office added. 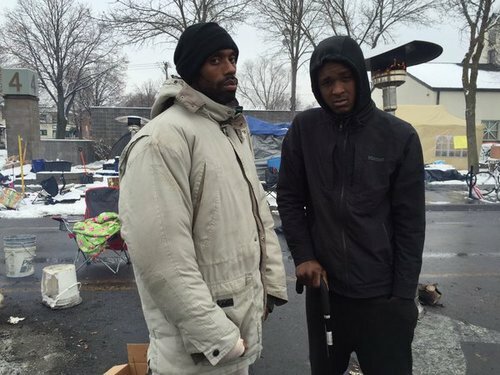 Earlier in the day, the head of the Minneapolis NAACP called for serious charges to be filed against the men accused of opening fire near the Jamar Clark protest camp. 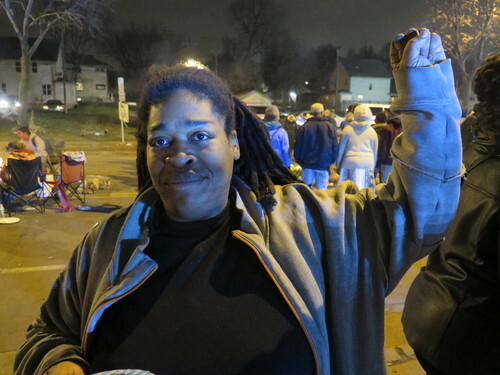 "Those folks need to be charged with attempted murder," Nekima Levy-Pounds told MPR News. "They were very reckless in firing off those rounds. Many more people could have been shot ... We don't know what they had planned. Why would you come to a peaceful protest with high power weapons?" While police on Wednesday released the names of the suspects, MPR News generally does not name suspects in a criminal case until they're charged. MPR News reporter Doualy Xaykaothao spoke with All Things Considered host Tom Crann about Jamar Clark's funeral and the ongoing demonstrations.